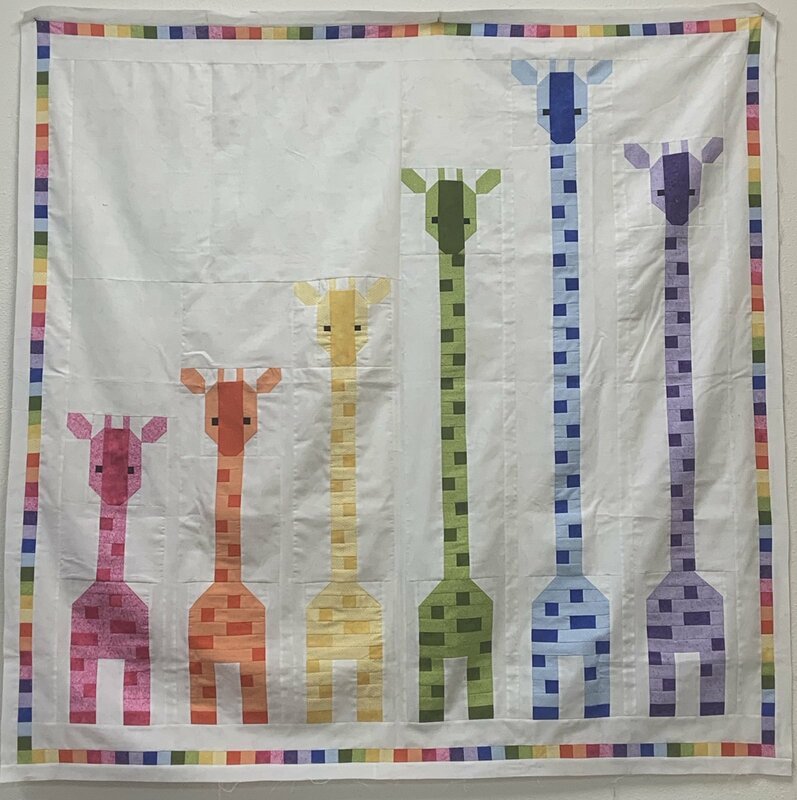 What could be cuter than a giraffe on a quilt? Four or six in a row. This modern patchwork baby quilt has a variety of variations.